BONUS: Outtakes from the filming of this video … a must see. 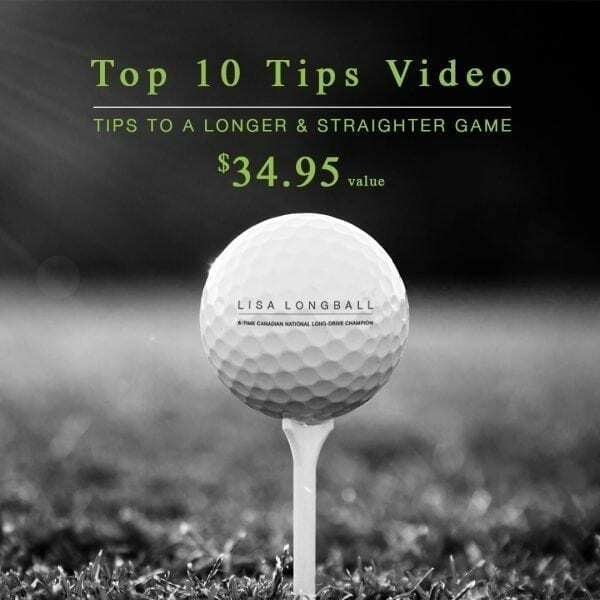 Hit the Ball Longer and Straighter with Lisa Longball! This is the perfect teaching aid. Easy to follow and practical tips for golfers at all levels. Works on all your devices so you can take it on the go. So, you can take Lisa’s tips everywhere you practice your game.